The final leg of our journey was in London and as soon as I could, I rushed over to Flat White Cafe in Soho, flying through the door and spotting Cameron, the main owner of Flat White, I practically belted out, “A flat white please…” For me, it was like – I haven’t had really good coffee for almost 2 weeks and I need it now and wow ! wasn’t it worth waiting for – almost too good looking to drink. 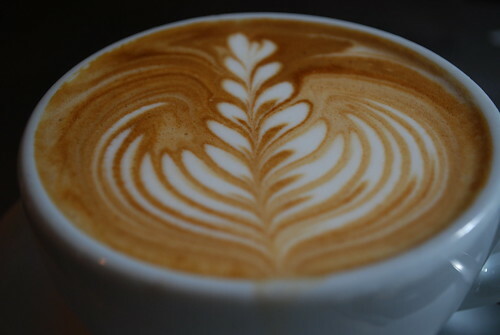 A beautifully poured “rosetta” on my flat white. Even Cameron was impressed by the very kind lady who poured this beautiful rosetta (I’m so embarrassed I didn’t get her name so that I could have mentioned it on this post, sorry ! ), and here it is one more time, up close and personal, so that you can almost taste it. After my “flat white experience”, I rushed off to have a quick lunch and of course I needed a good espresso to finish off my lunch experience and no place better than Milk Bar (Flat White’s second shop), still in Soho. As there wasn’t much time to catch our flight, I ordered a double espresso in 25C heat outside, took a picture to share the experience and gulped it down. 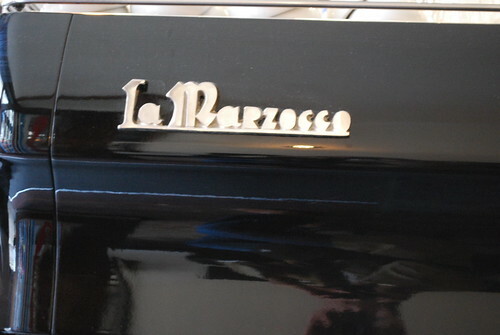 To finish off, I took a picture of their custom made Black La Marzocco FB70 espresso machine. What a nice stop over in London to satisfy my espresso cravings. 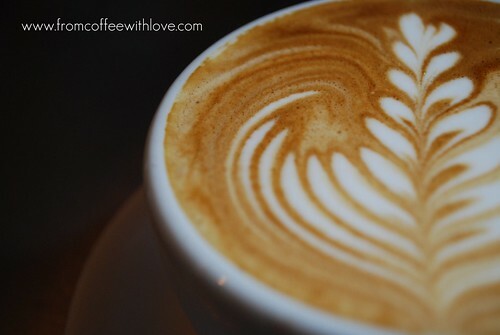 This entry was posted on Thursday, August 20th, 2009 at 11:15 pm	and tagged with espresso, flat white, Flat White Cafe, La Marzocco, london, Milk Bar, soho and posted in Bean There - Cafes, The Art of Coffee. You can follow any responses to this entry through the RSS 2.0 feed. That shot sure looks tasty! 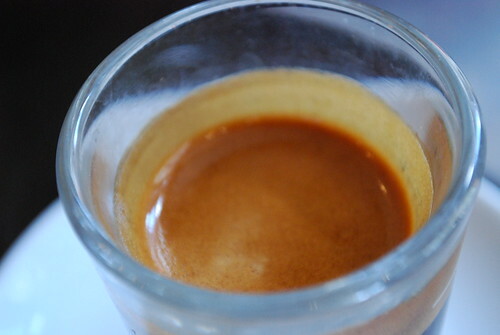 And the la marzocco machines are certainly top notch…….kind of like driving a corvette as opposed to a K-car!